ZOOCCHINI's worry-free Sun Hat for your baby are UPF sun protection and are easily washable for simple care and maintenance. 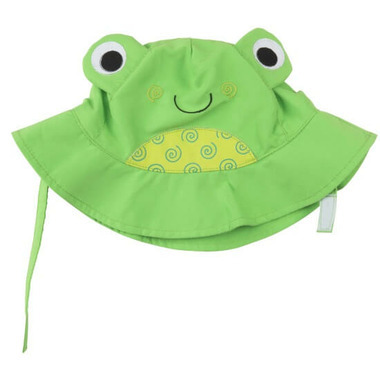 ZOOCCHINI's Baby Sun Hats offer all day sun protection-a great way to enjoy the outdoors and have fun in the sun without worry. UPF 50+ helps protect against sun. This is a excellent hat. Fits well, and is a nice material so it's comfortable for the baby to wear. I haven't had the chance to put it on my baby outside yet, so I'm not sure how well it will stay on. The brim is a good width so if the baby will leave it alone it should work well for sun protection.